Bet on the Gunners to clinch a victory – ‘Win to Nil’ – against the Black Cats this weekend with Today’s Enhanced Odds. 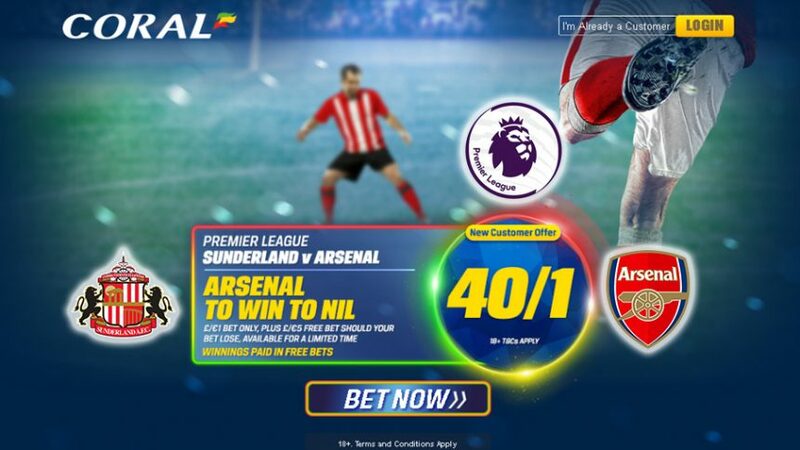 Place a £1 wager on Arsenal to ‘Win to Nil’ when they face Sunderland at the Stadium of Light this weekend, and collect £40 as a reward with Today’s Enhanced Offer 40/1! Just make sure you place your bet before lunchtime; the match begins on 12:30 BST this Saturday (October 29)! Even if the Gunners don’t ‘Win to Nil’ at the Stadium of Light, the good news is that Coral will reimburse you with a £5 Free Bet, so there’s no way you can lose anything with Today’s Enhanced Offer. You’ll either win £40 or £5, which makes you a winner whatever way the match goes. 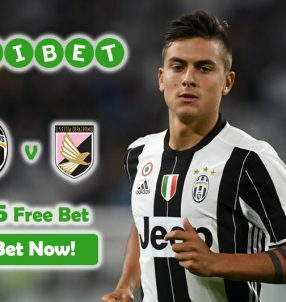 Your winnings will be credited to your account – if Arsenal ‘Win to Nil’ – based on the normal price on the site, while the rest of the winnings will be paid out in Free Bets, taking the full amount to the advertised 40/1 (41.00) odds with Today’s Enhanced Offer. Note: this offer is open to new customers only (18+) that reside in the UK and the Republic of Ireland. Please note that Terms and Conditions apply for Today’s Enhanced Offer. The Gunners have made a statement of intent over the summer by making some high profile signings as they bid to finally win the league for the first time since 2004. Granit Xhaka (£ 38.25m) and Shkodran Mustafi (£34.85m) were bought from Monchengladbach and Valencia respectively, while Lucas Perez (£17m) was signed from Deportivo La Coruna, according to Transfermakt. With the inflow of fresh blood in the squad and the way they’ve been playing so far this season, discussions have emerged about the possibility of Arsenal clinching the Premier League title – currently they occupy second position on the table, tied on points (20 pts) with league leaders Man City. Back Arsenal to ‘Win to Nil’ with Today’s Enhanced Offer with a mere £1 bet and in return you’ll receive 40 times that amount after the encounter. Win £40 with Today’s Enhanced Offer!